It's popular opinion that making menstruating women pay tax on sanitary products is a great injustice. Most recently, Tesco announced plans to cough up this tax on behalf of the customer, making tampons and towels a whole 5% cheaper - a small difference but a step in the right direction nonetheless. But what if we told you a mere £20 could cover your period hygiene for a whole ten years? If you're yet to be persuaded to convert from tampons to menstrual cups, this new 2017 version of the most eco-friendly period hygiene product could convince you yet. 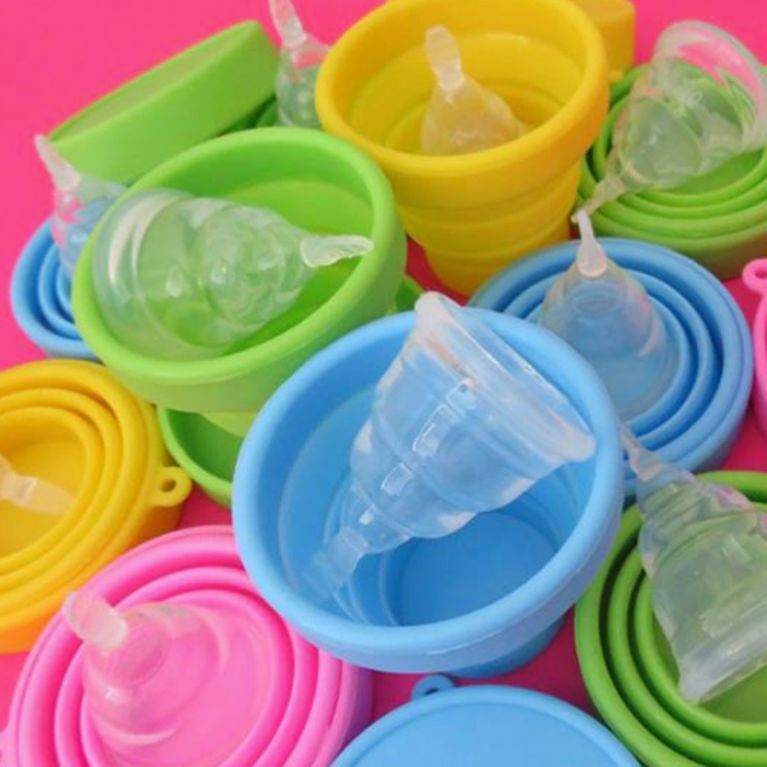 Scottish mum Julie Coleman is capitalising on the millennial generation's obsession with unicorns to bring us the Unicorn Cup - a colourful, 2017 version of the classic menstrual cup. The Unicorn Cup works like the standard version except, unlike the Moon Cup, it comes with a separate foldable wash and/or storage cup which makes it perfect for when on the go and travelling. Each cup costs £19.99 plus postage which may seem like a lot when a pack of tampons costs just over £2.00 but when you consider the average woman spends over £18,000 on feminine hygiene in their lifetime, it's a small price to pay. A mere £20 - that's how much most women will spend on tampons and towels in six months. But unlike tampons and towels, menstrual cups are reusable - for up to ten years if properly looked after. Other advantages include the volume of liquid they hold - up to three times as much as tampons with no leaks which means you can leave it in for up to 12 hours - and because the flow doesn't come into contact with oxygen it means there's a reduced risk of contracting TSS (toxic shock syndrome) and there's also no dryness that's often associated with tampons.